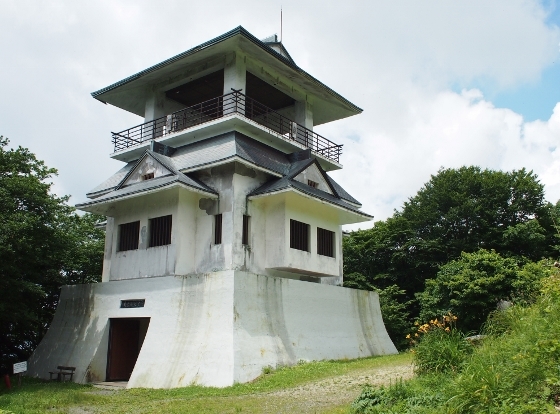 Mount Yamizo (1022m) is located on the border of Fukushima, Ibaraki, and Tochigi Prefectures. 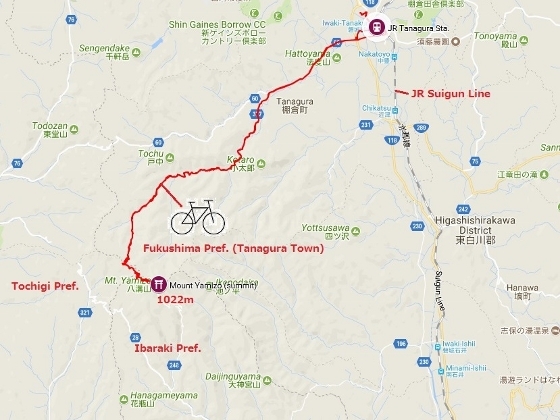 On Fukushima side which is within Tanagura Town, there is a prefectural road called Mount Yamizo Line to the very summit. This is a rare public road that can take us to the summit of a 1000m class mountain. 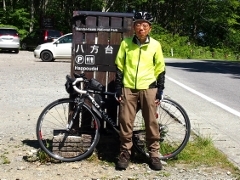 I pedaled my bike to the summit from JR Iwakitanagura Sta. 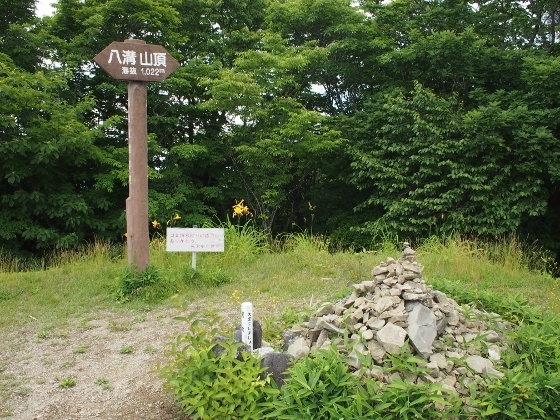 Photo above shows a view of the summit with its Yamizomine Shrine. This view was taken from 3-story observatory platform right next to it. 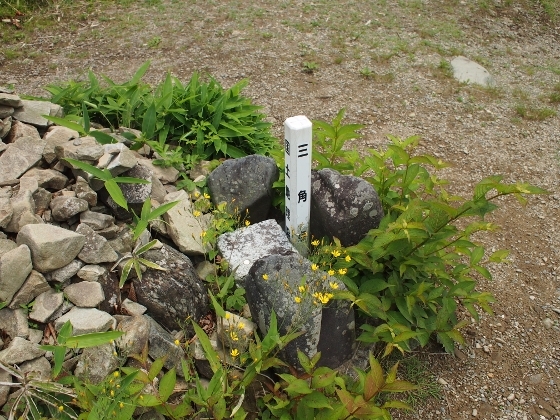 Photo above shows the summit point with its sign pole and the triangulation point. 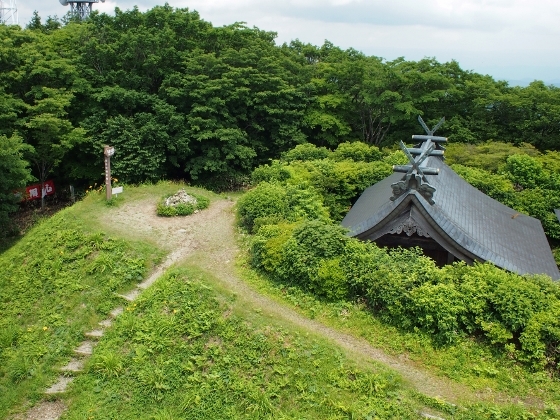 They stand within the precinct of Yamizomine Shrine. Photo above is a close-up view of the first order triangulation point. 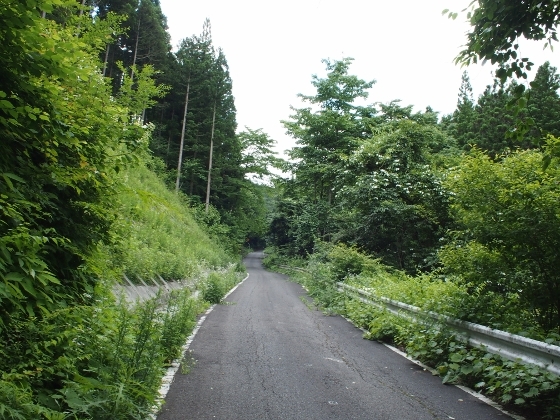 Although there was a prefectural road to the summit, the road was not paved all the way. 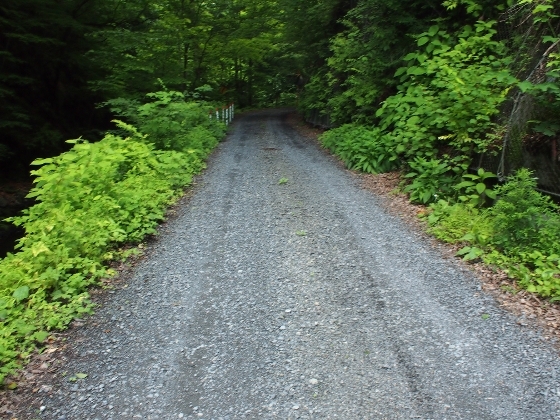 Between 15 and 18km points from the town center of Tanagura, the road suddenly turned into gravel road as shown above. I rode my bike on and off during this period. The rest of the road was paved such as shown above, but some parts were damaged from wear and tear. The end of Fukushima road looked as shown above. Then the road changed to Tochigi road, and then to Ibaraki road. 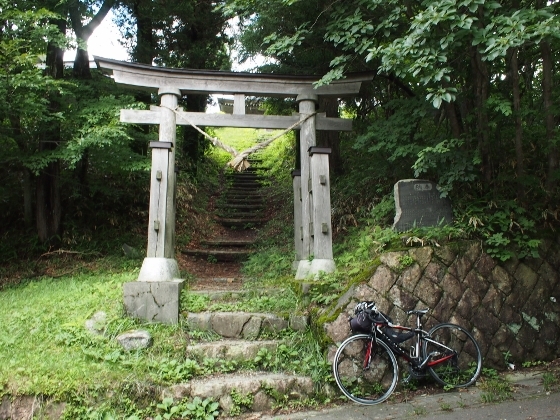 And finally I arrived at Yamizomine Shrine Torii gate as shown above. The summit was several steps away from the gate. 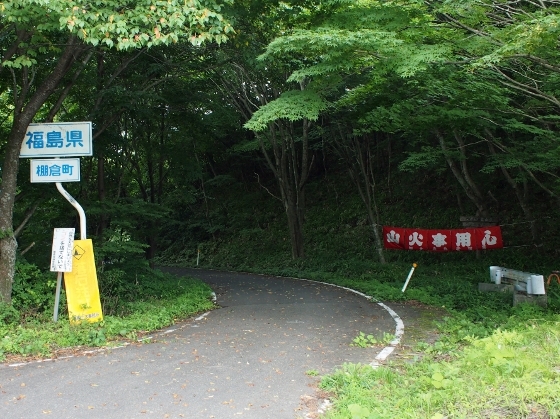 Mount Yamizo Line road runs mostly along the upper stream of the Kuji River. 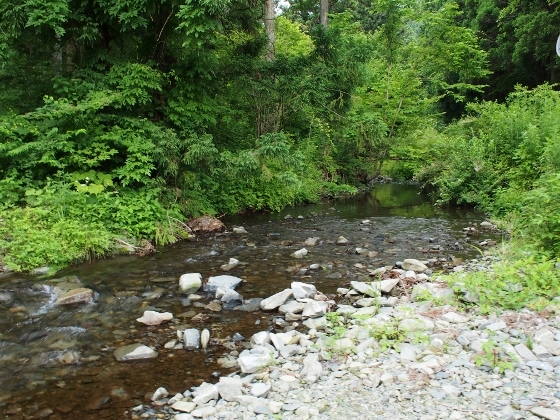 A photo above shows a source stream of the Kuji River, which flows through Yamatsuri Town and then to Ibaraki Prefecture. At last, a photo of the observatory I mentioned in the beginning is shown above. 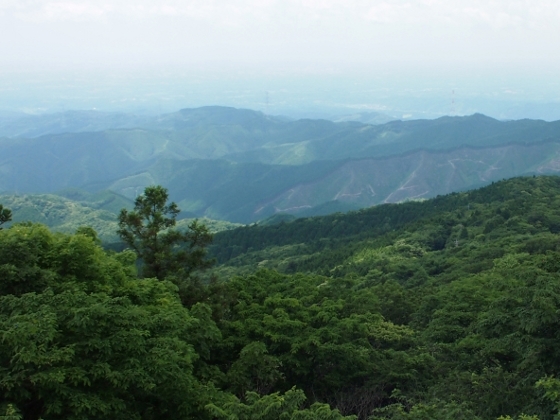 Also, a northwest view (toward Nasu) from the observatory as of today is shown in the bottom.